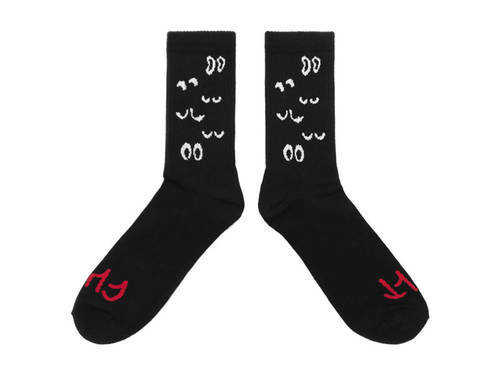 Another epic sock showcasing artist 'Sketchy Tank's' work - the Stance Eye Spy Socks are certainly head turners. 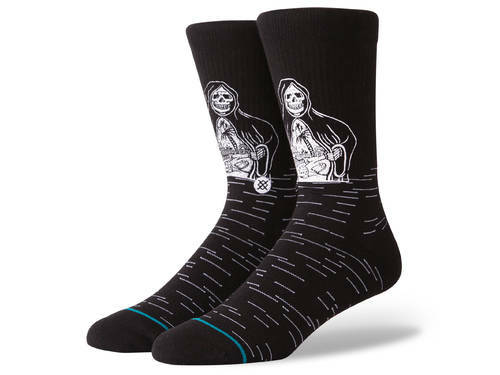 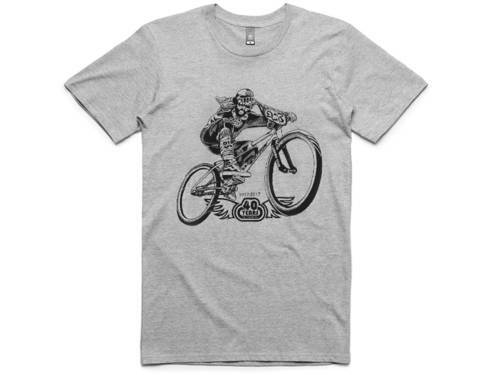 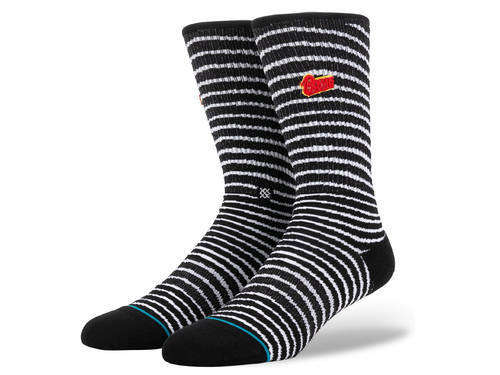 Featuring a "trashy tattoo" inspired skeleton peaking out from the striped design - this is a unique collaboration that merges comedy - style and art seamlessly. 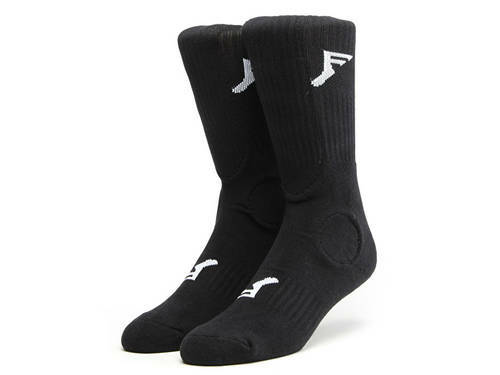 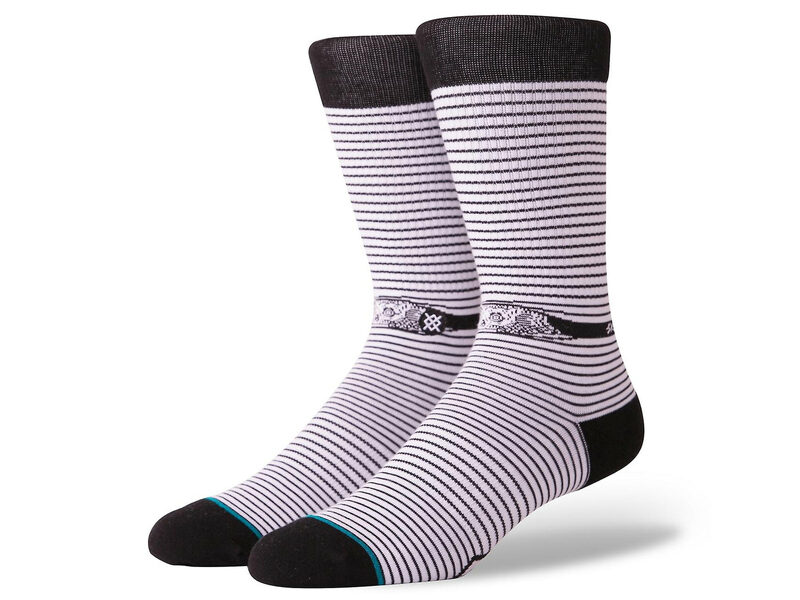 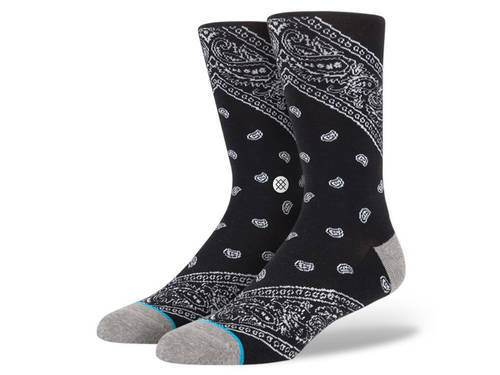 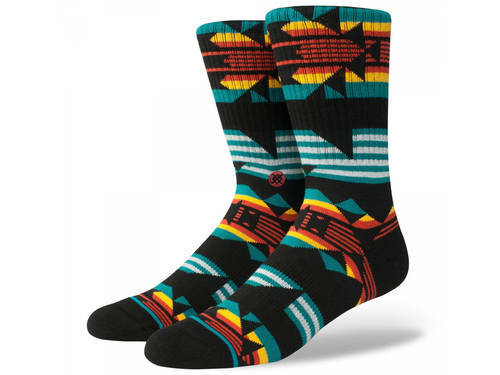 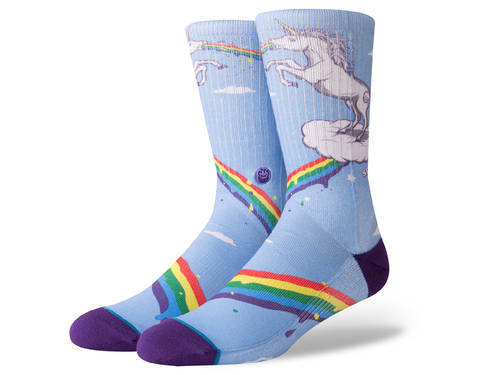 Showcasing classic sock design with Stance's renowned comfort and feel - highlighted by the arch support - reinforced heel and toe and a seamless toe closure.